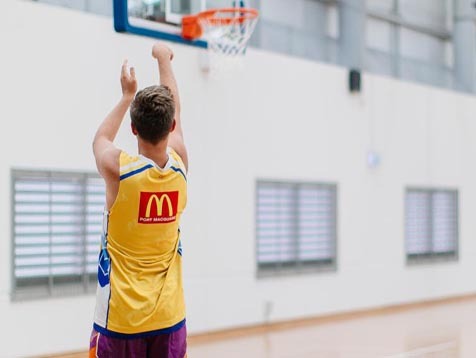 The newly expanded Port Macquarie Sports Stadium was designed by Facility Design Group Architects and was officially opened in February 2017. 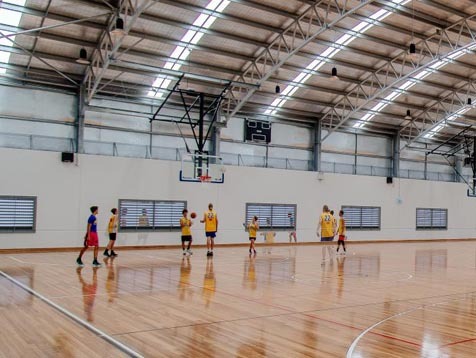 The $7million dollar project includes new timber floor courts, multi-purpose rooms, café, new change room amenities and a carpark. Constructed by commercial builders, Ware Building, the stadium accommodates both indoor sports and community events as well as attracting other local, state and national events. The modern stadium was designed to increase the capacity and capabilities of the existing structure (originally built in 1982), now incorporating state-of-the-art facilities for participants and spectators to enjoy. Breezway Louvre Windows throughout the structure enhance the energy efficiency of the building by allowing the flow of natural ventilation to keep occupants comfortable while watching or playing activities inside the venue. 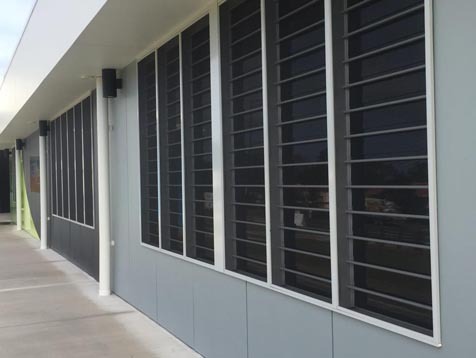 The louvres are also situated in the administration areas of the building and feature security bars to protect the venue from intruders after hours. 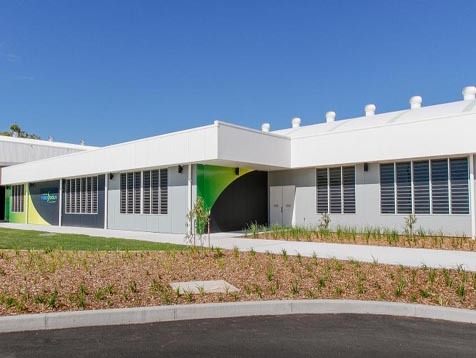 As a result, this extensive project has delivered a world-class regional facility that displays commitment to active and healthy lifestyles for the whole community to enjoy.